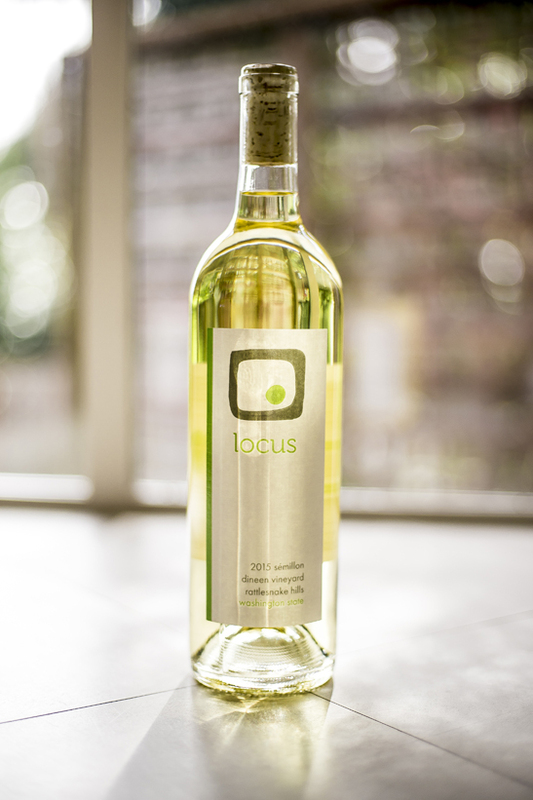 Locus Wines winemaker Rich Burton will be on hand to pour at an impromptu Tasting Room Saturday, April 14th, from 1-5PM. 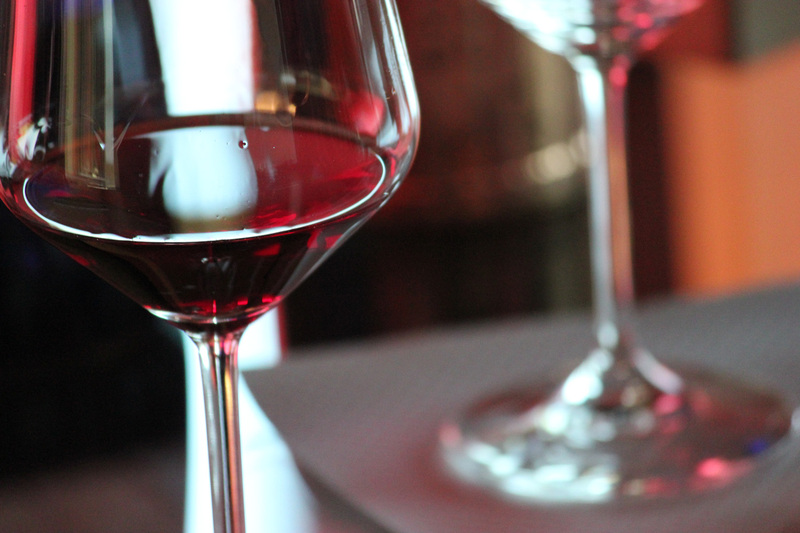 The tasting room is making all Locus Wines available in wine flights, so you can taste them all before you commit to a glass or even better a bottle. Or two. 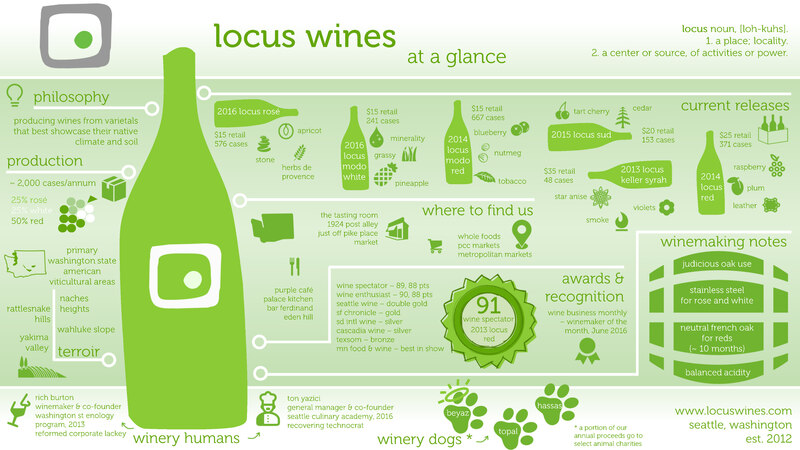 As you know, the Tasting Room always has Locus Wines as part of its flights but not all of them are on there usually and not all flights are all Locus. So, this impromptu tasting room event is indeed something special. 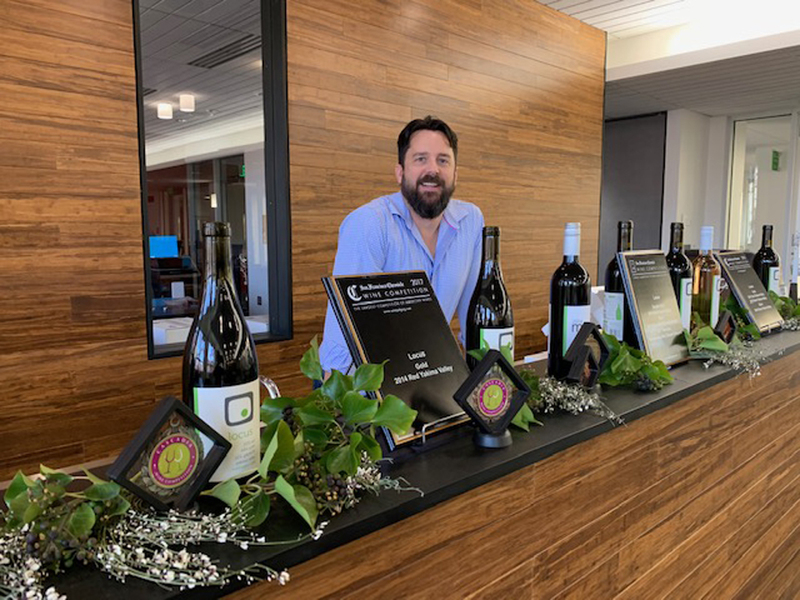 Chances are, Rich will stay way longer than the happy hour, so it is an opportunity to get some face time with the winemaker with very little interruption No need to RSVP or to call ahead. Just show up at your convenience. 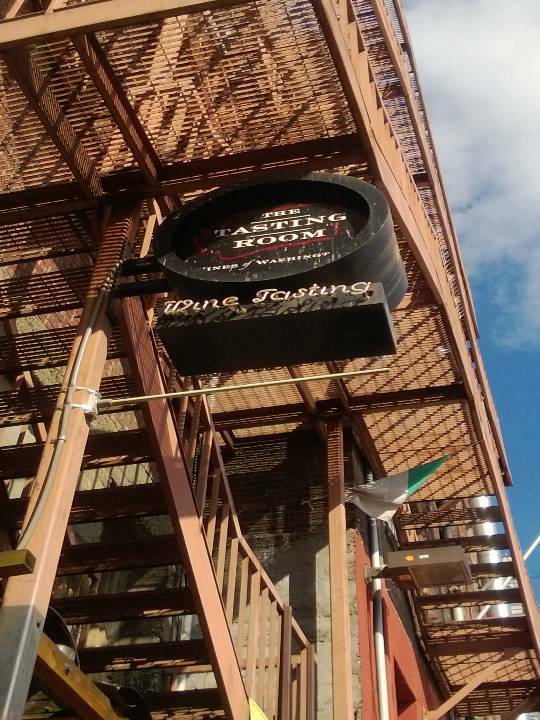 The Tasting Room is located at 1924 Post Alley, Seattle, WA 98101 right across from Pink Door and next to Kell’s between Stewart and Virginia. You don’t need to call them to make a reservation but if you get lost and need to find them, call them at (206) 770-9463. This Thursday, September 21st, from 5-7PM, the Tasting Room in the Post Alley is holding a Locus Wines happy hour with winemaker Rich Burton in tow. The wine flights, the Locus Wines bottles will all be discounted to happy hour pricing during the evening. Chances are, Rich will stay way longer than the happy hour, so it is a chance to spend some cycles with the winemaker with very little interruption before he gets all busy with the crush, if you so desire. No need to RSVP or call ahead. Just show up at your convenience. We Said We’d Never Do It. We are Doing It. But you know, sometimes an opportunity just presents itself and it’s too good to turn down. We never intended to have a Locus tasting room, especially this early in our development, but when we met the folks from The Tasting Room in Post Alley, we changed our mind. The Tasting Room offers the best of Washington’s viticultural bounty in an old world-style wine bar, focusing only on winemaker-owned wineries. 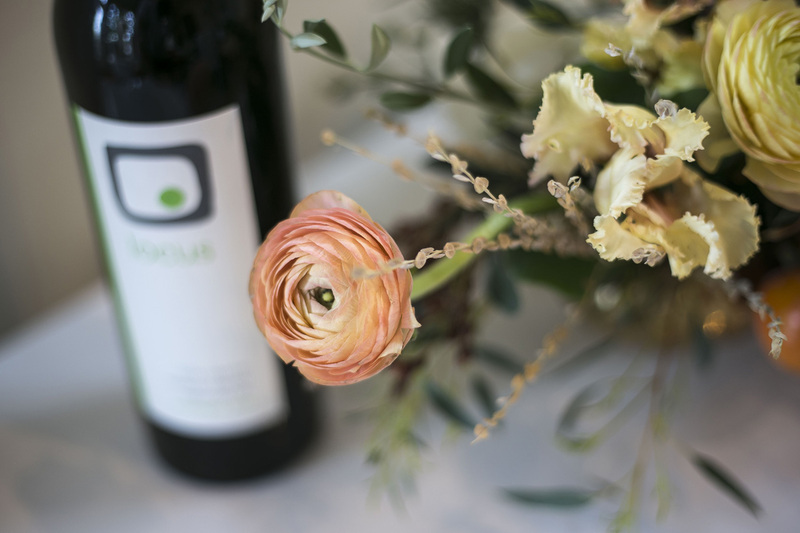 We’ll be joining other great Washington wineries like Naches Heights, Nota Bene, and Wilridge as part of a tasting cooperative in historic Pike Place Market. To celebrate our new adventure, we are holding an invitation-only party this coming Friday night (November 18th) at the Tasting Room. We’ve only got room for 25 guests and your name will need to be on the guest list in order to get in. It’s *that* kind of party. Joking aside, the space is very limited and they cannot accommodate walk-ins. In addition to our Locus wines, we’ll be tasting through offerings from five other wineries with bites from the new catering company, ESCA. 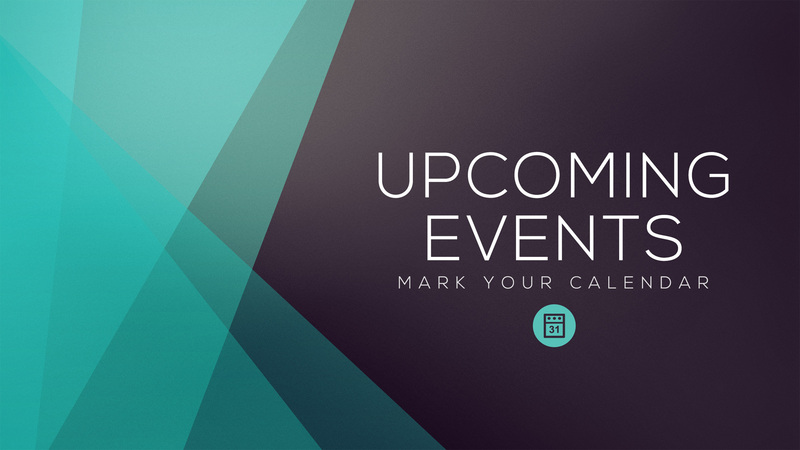 If you’re interested in attending, reply to this email or shoot us a note at socius@locuswines.com to make sure we get your name on the list. There is no cost to attend. If you can’t make it on Friday, we encourage you to check out The Tasting Room the next time you’re down at Pike’s Place Market. They’re open from noon to 8pm everyday, except this Friday where they will close at 6 to prep for the special event. They have a great happy hour Mondays through Thursdays, from 5pm-7pm with discounts on glass pours, bottles and small plates. 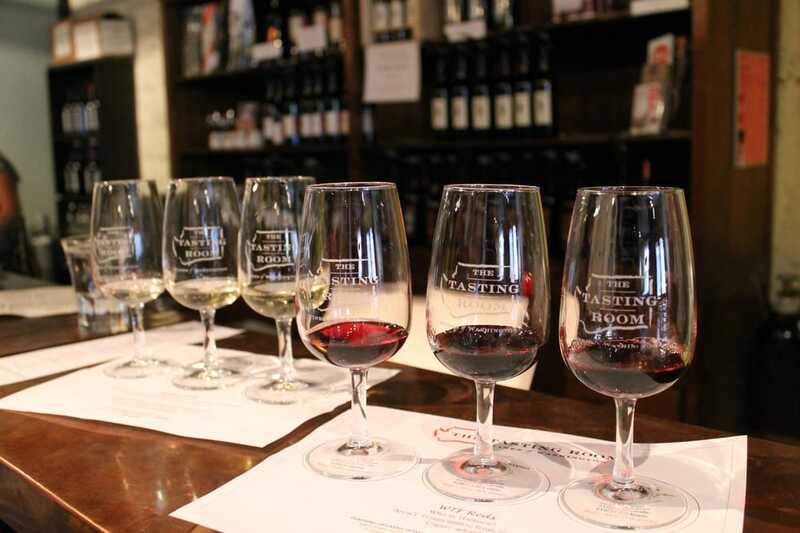 You can order wines by the glass, experience tasting flights, or just buy a bottle to take home. We’re thrilled to be part of this great venue!